Nourish the hair follicle from within. Cleanse and prepare the scalp. Add volume to give the hair the appearance of fuller, thicker hair in seconds. 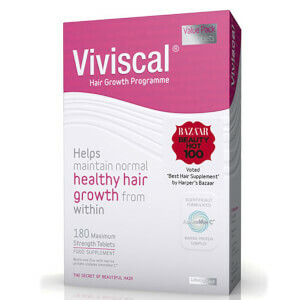 The Viviscal Hair Growth Programme provides a variety of ways to nourish your hair from the inside out, and the outside in. 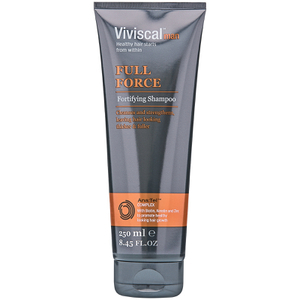 The first part of the programme is to make sure your hair is getting nourished, with Viviscal Maximum Strength supplements and Viviscal Man supplements. Next, using Viviscal Gentle Shampoo and Viviscal Moisturising Conditioner, cleanse and prepare your hair and your scalp to create the ideal environment for healthy hair growth. The next stage, is to protect your hair from over-styling and damage with Viviscal Hair and Scalp Serums, which support healthy hair growth to help hair appear thicker. 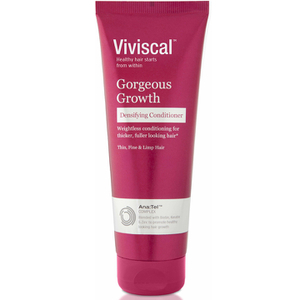 Finally, use Viviscal Volumising Hair Fibres to create the appearance of thicker, fuller-looking hair. As hair loss and thinning hair become less of a taboo subject, more brands are coming forward and talking about solutions for these unfortunate but very common issues. So don't worry, you're not alone and Viviscal are here to help!